ice cream sandwich | what is clara eating today? Whip egg white until stiff peak forms. Add cream of tartar and salt and mix. Add 1t(4g) of Truvia and mix well. Add lemon juice and mix well. Pipe out 6 of 2inch circles. Bake at 230 for 30-40 minutes. Let it cool. When it is done cooling, the outer shell should be crispy and the inside will be marshmallow-like texture. Whip cream and truvia (1t, 4g) in a small bowl. Add vanilla flavor and mix well. 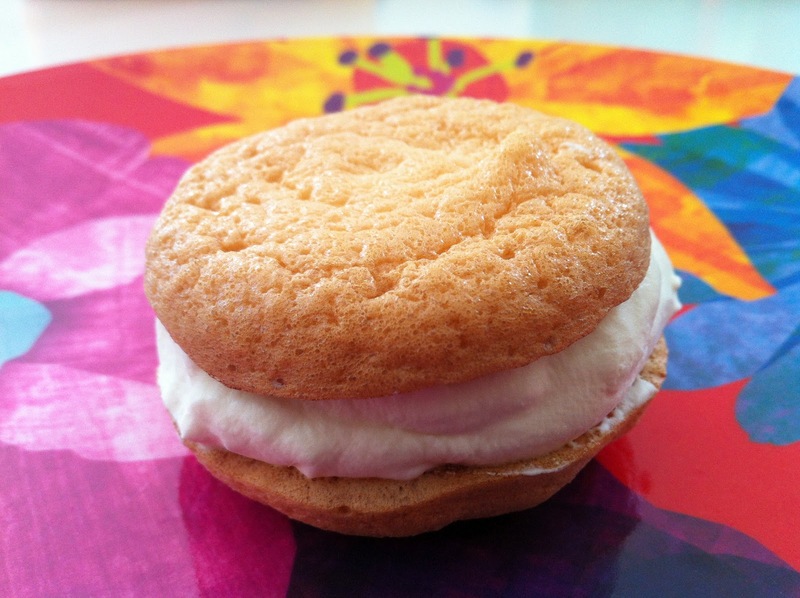 Once the meringue cookies are cooled, spread 1/3 of the whipped cream and top it with another cookie. Repeat to make 2 more sandwiches. Place in the freezer for 4-5 hours. Makes 3 ice cream sandwiches. It is helpful to draw circles on the bottom side of the parchment paper for guidance.